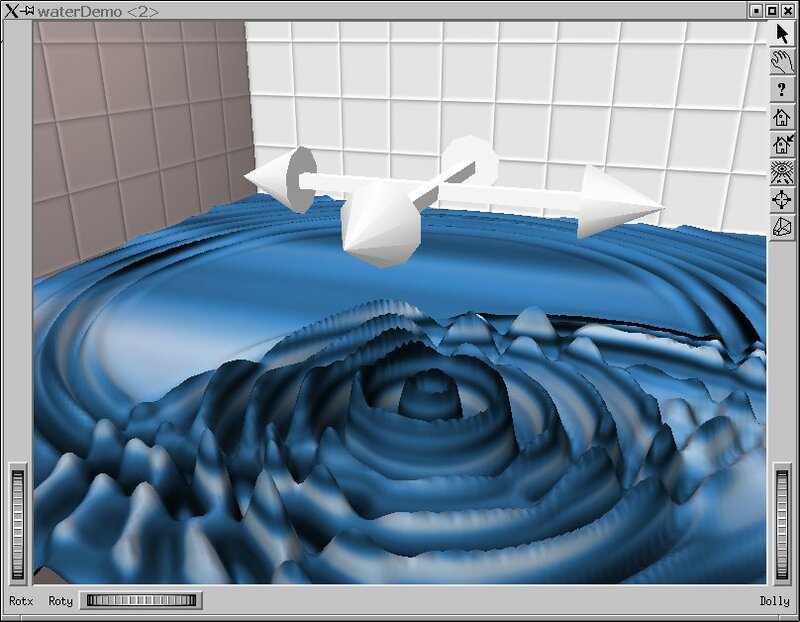 Dragger was added and water-surface modeled completely re-written. 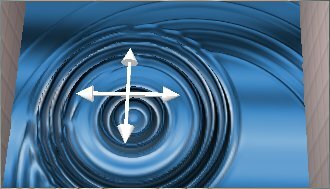 The dragger represents a source of dripping into the pool of water, and ripples eminate from the source outwards, decreasing in amplitude as they continue. 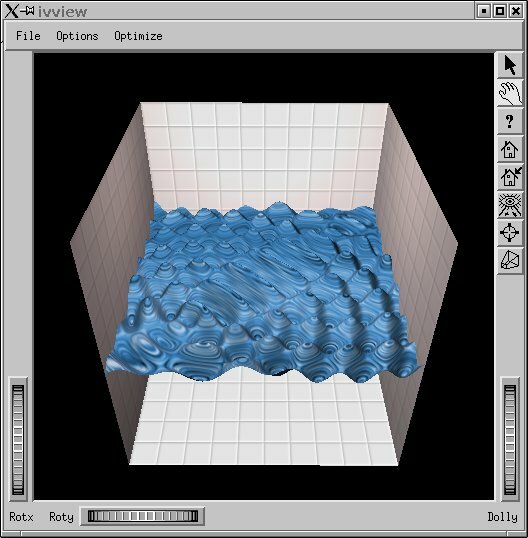 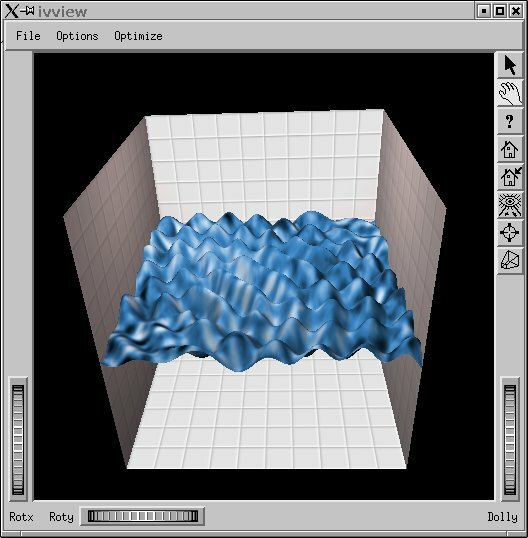 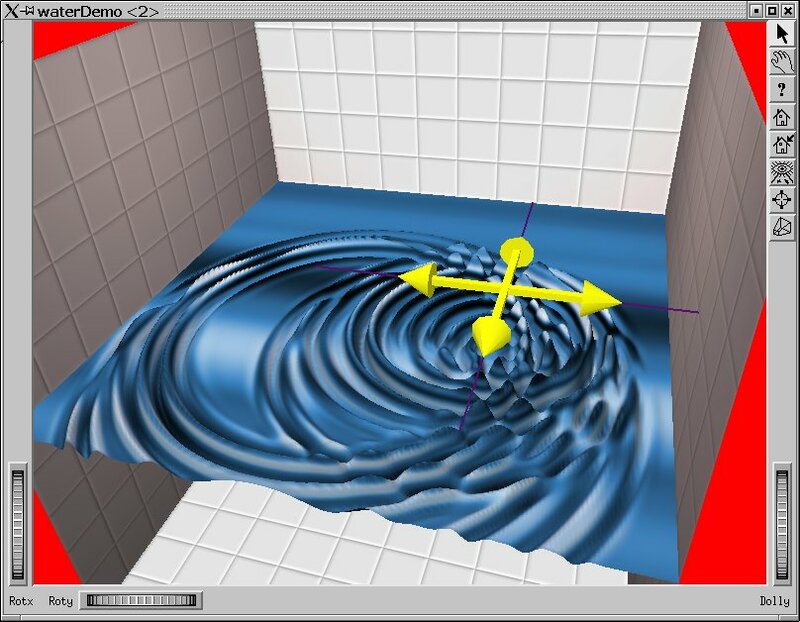 Inventor was applying ifferent texturing modes depending on the height of the water ripples. 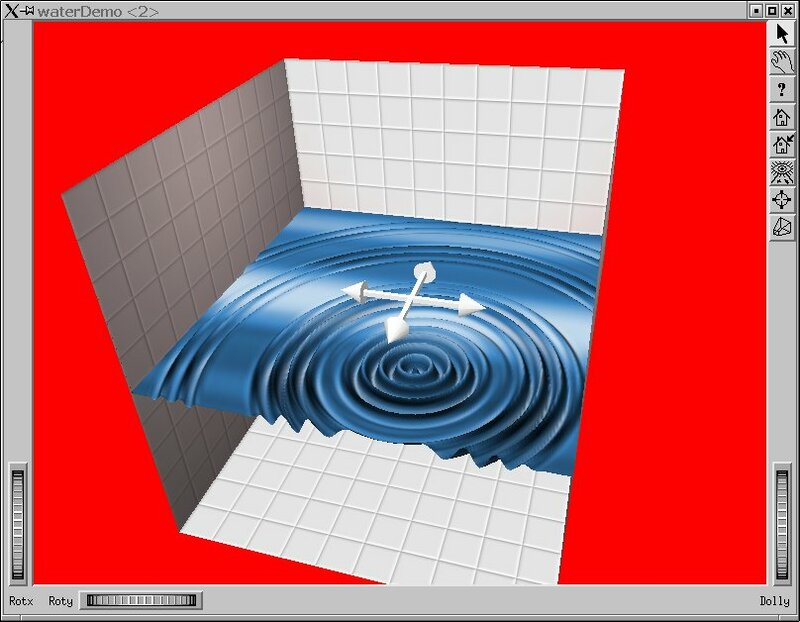 This was strange.